In the same way stock market investors should base their predictions of future price movements not on what they think a company is fundamentally worth but on the likely behaviour of the crowd. Prices are based on investors’ expectations about other investors’ expectations, resulting in a potentially unstable self-referential situation in which shares can rapidly diverge from their current values. Any notion of a fixed, underlying price becomes wobbly. Keynes lost and gained a fortune in the stock market, and his concept was later adopted by the investor George Soros, who dubbed it “reflexivity”, claiming to have used the approach to make his billions. A reflexive relation is in essence one in which something affects itself (it’s got nothing to do with Chinese medicine). The difference between reflexivity and reflection is that while the latter suggests looking in a mirror and seeing yourself, the former involves an action deployed on an object and that object reacting back, resulting in a changed situation. In grammar a reflexive pronoun refers back to the subject of the clause in which it is used. Examples are the words myself, himself, yourself, ourselves. The liar’s paradox – “this statement is false” – is another example. If the statement is false, then whoever said it was telling the truth. But if it is true, then it must be false because the speaker said it was. Therefore if it is true it is false, and if it is false it is true. The self-referential (and somewhat head-bending) nature of the statement has even led some to question the absolute validity of classical logic. What’s all this got to do with development economics, never mind Vanuatu? Several social scientists have used the idea of reflexivity in their theories of knowledge and society. In my book, Reflexivity and Development Economics, I try to draw out some of the implications of those theories and apply them to Vanuatu and Singapore. Anthropologists have been among the most enthusiastic proponents of a reflexive approach. Bronislaw Malinowski in his post-war studies of Melanesian society, it is claimed, “lived as a native among the natives for many months together, conversing with them in their own tongue”. But it became clear that while Malinowski believed he had embedded himself in the society he was studying, in fact he was unable to escape his own preconceived beliefs and cultural tendencies – such as the rather dismissive category “native” itself, a word which would nowadays be considered racist. Clifford Geertz thought that methodology – the study of methods – is reflexivity, as it involves examining your own project. Geertz argued that anthropologists should explicitly discuss their own backgrounds in order to highlight any biases and predispositions. The French sociologist Pierre Bourdieu accused Geertz of self-fascination and egotism, suggesting that social theorists should examine not only their own backgrounds but the underlying biases and predispositions of the school of thought within which they operate. Bourdieu questioned the entire notion of objectivity. The term has been used in a range of other areas including the sociology of scientific knowledge. In physics, the Heisenberg principle states that the objects studied in in quantum mechanics are so small that the instruments used to measure those objects may affect them. Similarly in social science human beings are both the examiners and the objects of examination. A social scientist might not be as neutral and objective as it at first appears because she brings all sorts of baggage into an enquiry. All social science and policy, including development economics, involves a certain self-reference. We are at once the observers and the observed. One implication is that economics itself might not be quite as neutral and objective as imagined, and it may be necessary to examine the predispositions and background of development economics and economists. First, an examination of external values and norms. Do economists bring in certain values an norms to a situation? When might these values and norms be harmful? What kinds of outside knowledge are useful? Second, an assessment of the importance of local context. The empiricist, bottom-up approach of anthropology holds lessons. Anthropologists tend not to be as deductive as economists, preferring instead to ‘get inside’ a social context and describe it rather than using case studies as evidence to prove a wider, universal truth about human behaviour. Economic analysis should take account of values, behaviour and institutions. Third, a recognition that economic tools, concepts and policies can undermine themselves, even though they were designed for greater control. Given the failure of most economists to predict the global financial crisis in 2008, the discipline might wish to be a bit more modest. Some of the centrally-held truths of the dismal science proved wrong – like the idea that western economies were undergoing a ‘great moderation’ and that private debt wasn’t a problem. If economists aren’t always correct in developed countries then what are the chances that they’ll get things right in the far-flung corners of the world which receive less attention? Fourth, reflexivity implies that development economics should allow for theory to be revised if it proves inadequate or as circumstances change. Some of the more successful newly industrialised countries, like Singapore, consciously manipulated the economic environment so as to hold on the levers of policy and direct the economy in desired directions. Policymakers changed the development narrative as they saw fit. In 1997 Vanuatu was subject to a set of economic reforms known as the Comprehensive Reform Programme. The CRP followed a doctrine known as the Washington Consensus, a list of 10 policies which it was argued would lead to rapid economic development. These policies included current and capital-account liberalisation, privatisation, corporatisation and lowering budget deficits and public spending. An identical programme was carried out at the same time in the Federated States of Micronesia, the Republic of the Northern Mariana Islands, Samoa and the Solomon Islands. The man who coined the term Washington Consensus, John Williamson, said that “the sooner it wins general acceptance and can be removed from mainstream political debate, the better… The proof may not be quite as conclusive as the proof that the earth is not flat, but it is sufficiently well-established as to give sensible people better things to do with their time than to challenge its veracity”. The problem was, in Vanuatu the economy almost immediately tanked, performing worse than at any time since independence. The government was obliged to match loans from the Asian Development Bank with spending of its own. When it ran out of money it had to rein in spending, with the result that the economy shrank dramatically. 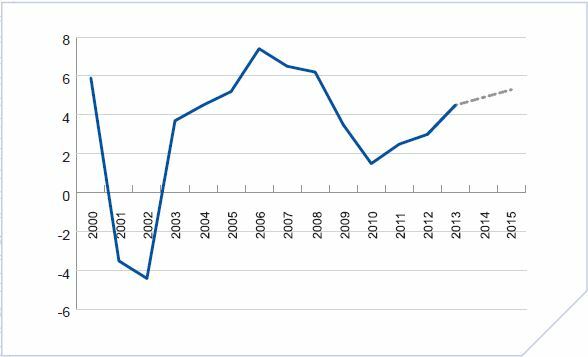 It took nearly a decade for growth to recover its pre-CRP levels. Maybe the proof wasn’t quite so conclusive. More worryingly privatisation and corporatisation deprived the government of an estimated VT3.5 billion (US$35 million) in revenue according to the UN, and both the stock of debt and interest payments spiralled higher. Lots of criticisms have been levelled at the Washington Consensus and the CRP, but I think that the failure of both was partly methodological; that they failed to take due account of context. Some of the norms, the standard procedures of economic policy, were useful, like the need to improve the institutions of government and the purported emphasis on social equity (but about which more could have been done). The use of an outsider-driven policy avoided the need for civil servants to take the blame for difficult decisions. Lessons can always be drawn from other countries. But broadly the programme failed to take account of context, putting into practice an identical programme in five other Pacific island nations. The CRP ignored special features of Vanuatu society like kastom (traditional society), the use of money and land ownership. All land is held on a leasehold basis and deeply connected with kastom. The programme also failed to allow for the revision of the development narrative. The government found it difficult to change policy direction. 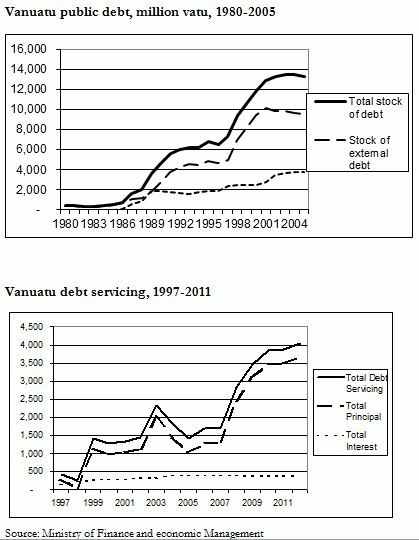 Debt was such a burden that policymakers’ hands were tied. Spending cuts limited the capacity of government. Many local people I spoke to suggest that they weren’t properly consulted. As the ADB’s own assessment of the project stated: “Externally imposed reform measures (conditionalities) that have little government ownership are doomed to certain failure”. The CRP has long gone and there’s little point in over-analysing the past. 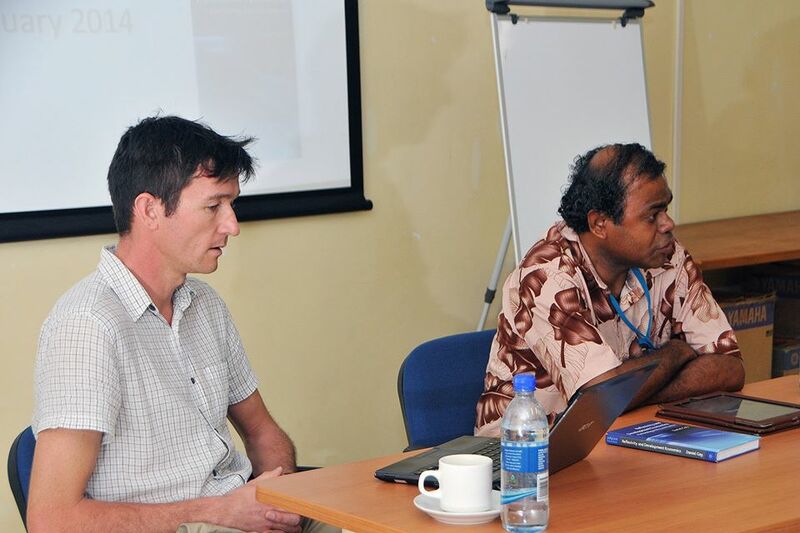 But the episode holds lessons for both development economics and future interventions in Vanuatu and elsewhere. Thinking about methodology – how methods are selected and applied – is important when practising development economics. Economists are far too reluctant to question their underlying methodology, preferring to think of the discipline as a standardised approach rather than a toolkit or a process of enquiry using ideas from other social sciences like social and political theory. The discipline probably doesn’t carry the same scientific status as the natural sciences, and it should be a lot more modest. Reflexivity means in part a process of critical self-examination, involving reflection on outside influences as well as the specific peculiarities of a situation. Maybe development economics itself should become more case-study based, empirical and context-orientated instead of so often applying theories based on deductive modelling? What’s clear from Vanuatu’s story is that national ownership and carefully-considered forms of consultation are vital. Reforms can’t be designed solely from abroad. One size doesn’t fit all. Washington consensus, development and Vanuatu. Another example where the promise of capital account liberalization ends up being a Faustian pact handcuffing an ostensibly sovereign nation. There is also mention of Soros’ reflexivity and Keynes’ beauty contest which further solidify the behavioural rather then efficient nature of asset markets. …sorry, meant to re-blog rather than leave as a comment. Reblogged this on Arijit Banik. It was great to have Dan take part in the Devpacific Dialogues series – the session has received a lot of positive feedback and generated some debate in local media (I love it when a plan comes together!) – thanks again DG!! No bother Tess, it was great to come over and generate some controversy! So great to read this. I’m just finishing a masters looking at Monitoring and Evaluation practices in Vanuatu and have found very similar conclusions, especially around standardised practices failing to recognise unique features of Vanuatu such as kastom. I stret nomo. Your work sounds really interesting. M&E sounds like just the sort of thing that tends to be done according to standard goals and which doesn’t fit with local ways of doing things. Thanks for the insight Dan! So much attention is given to theoretical and institutional models that are not applicable at a local level. Little attention is given to what Marshall Sahlins coined as ‘indigenous ways of coping with capitalism’. My own PhD research examining the ‘neotraditional economy’ in Melanesia concludes that kastom ekonomi frames are undervalued and integrating this more meaningfully into development and non-traditional, monetisation of customary assets is overdue. However like most things, brief commentary risks oversimplification. Mi save gud nao! Hemia nao. Your PhD sounds interesting. My suspicion is that part of the reason for ignorance about the kastom ekonomi or, more generally, local economies is that among economists there is simply no conceptual apparatus for looking at indigenous economies. They’re just a black box which is of no interest to the conventionally-trained economist. Economics is a very top-down, abstraction-heavy discipline which tends to be empirical only insofar as it collects data and amalgamates it using statistical methods to achieve what it imagines is some universal truth about human behaviour. There’s very little understanding that some information about specific circumstances might be useful only in the context concerned and might not have much relevance elsewhere. A good example of ignorance about indigenous economies is how the subsistence economy is reflected in GDP data. It’s just given an assumed monetary value — in Africa and Melanesia, at least — often dating back to colonial days when they guessed an amount and then assumed it goes up by population growth. I’ve recently been reading Morten Jerven’s Poor Numbers, and he says that this ignorance about the subsistence sector is partly responsibly for a complete misunderstanding — even on conventional terms — of African economies.